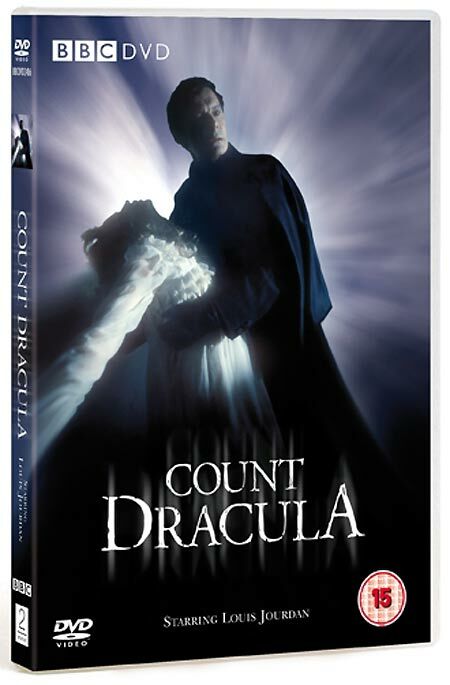 Here's the sleeve art for 2 Entertain's new Count Dracula DVD, due on September the 3rd. Contender Home Entertainment will release the fifth series of Spooks on DVD on September the 10th. The five-disc set will offer the ten episodes in anamorphic 16:9 format, with Dolby Digital 5.1 audio. The set's bonus features are A Guide To Series 5 interviews; commentary tracks on the final two episodes (culminating with the Divine Earth plot to flood London by sabotaging the Thames Barrier); a sneak preview of series six, Miranda's Video Diary; and series five trailers. The press release suggests that the bonus materials total about twenty minutes. RRP for the set is £39.99. 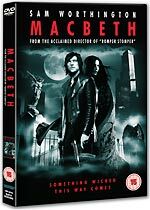 Revolver Entertainment will release the latest film adaptation of Macbeth, a modern-day version from Romper Stomper director Geoffrey Wright, on DVD on September the 10th. This version of Shakespeare's story is set in the Melbourne crime underworld, and features "a stunning cast of young up-and-coming stars". The press release says "Alongside the release of the DVD will be a companion book, with insightful new commentary and annotation of the original text", but it's unclear whether that means that the book will be sold separately, or is bundled with the movie. No technical details were announced, and there was no mention of any bonus features. The DVD release of Kenneth Branagh's Hamlet, announced here, has been given to HMV as an exclusive. 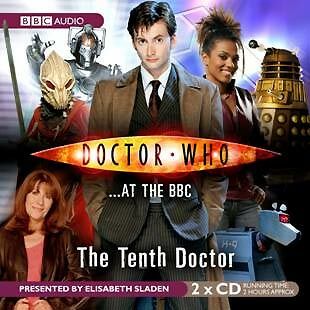 BBC Audiobooks has formally announced the release of Doctor Who... At The BBC - The Tenth Doctor, a two-disc set to be released on September the 3rd. The actress behind the much-loved Sarah Jane Smith is your guide through this exciting, surprising and often funny mix of radio and TV features, all based around the worlds of contemporary Doctor Who. Travel behind the scenes in the company of David Tennant, Billie Piper, Freema Agyeman, Catherine Tate, Sarah Parish, Jessica Hynes, Thomas Sangster and many other stars of Series Two and Three. Learn more about how Doctor Who is made from Russell T Davies, Susie Liggat and Edward Thomas – and eavesdrop on an unusual phone call to executive producer Julie Gardner! Along the way you’ll enjoy many fascinating Doctor Who-related features and interviews from Blue Peter, Breakfast, Friday Night With Jonathan Ross, Front Row and Jo Whiley Meets Doctor Who, plus a whole host of extracts from BBC Radio Wales’s very own Doctor Who - Back in Time series! With comedy sketches from the Dead Ringers and I’m Sorry I Haven’t a Clue teams thrown in, and a bonus peek at the Christmas episode of The Sarah Jane Adventures, this exclusive CD is guaranteed to provide two hours of enjoyment for Doctor Who fans young, old and in between! Doctor Who at the BBC: The Tenth Doctor will be available from all good bookshops, online at www.bbcshop.com or by BBC Audiobooks direct mail on 0800 136 919. This title will be available to purchase as a download from digital retailers such as Audible, Audioville, Audio-Read, Overdrive, Mediabay, iTunes, 7 Digital, Simply Audiobooks, Spoken Network, TuneTribe and Plays on the Net.